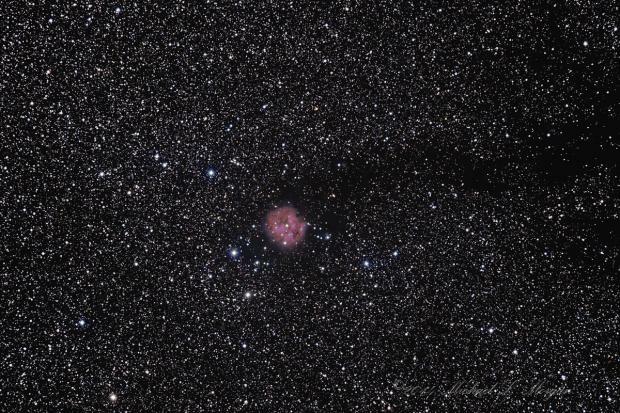 IC 5146 the Cocoon Nebula and Barnard 168 in Cygnus. Taken 08-24-2014 at Cherry Springs State Park. William Optics ZS80 QSI583wsg and Televuec0.8 reducer. LRGB luminence 24 x 5 minutes unbinned RGB 16 x 2 minutes each binned 2x2 total exposure 3 hours 36 minutes.